Bringing up bi-lingual, multinational kids has many advantages. The main one being that, from a young age, they speak two languages fluently, without thinking about it. But I have had to put some work into it. Speaking English whilst living in France was relatively easy — I just had to be strict (mostly with myself) to make sure that only English was spoken at home. Reading and writing was a bigger challenge as the kids were going to a local French primary school, so I had to somehow make that happen at home. English books and especially magazines have always been a big deal for us, as I needed to get the girls to be intrigued enough by a story that they wanted to put in the extra effort to figure out the text in English. It was very sweet in the beginning — they would decipher the text with weird little French accents, using the phonetic system they had learned at school. The more they practised, the easier it became. Magazines are great as the stories are shorter and varied, so the challenge is less daunting. By far my favourite magazine is the subscription based Storytime magazine, full of great stories and games and without any advertising nor extra silly toys. When you live abroad it is sometimes hard to quickly pick up a book and add variety to your reading list. Storytime is awesome, as it give us the opportunity to discover new stories and new authors all the time. It has a great cross section of classic stories from my childhood to new and fresh ones, and of poems, games and recipes. It works both for girls and boys and there is always a lot of excitement when it pops through the letterbox every month. What I also really like about Storytime is that it is run as a social enterprise, and profit is reinvested into improving literacy in Britain through a variety of themes. Storytime are offering all Babyccino readers worldwide the chance to try the magazine by offering at a huge introductory discount. You can get 3 issues for just £3 / $5 US. 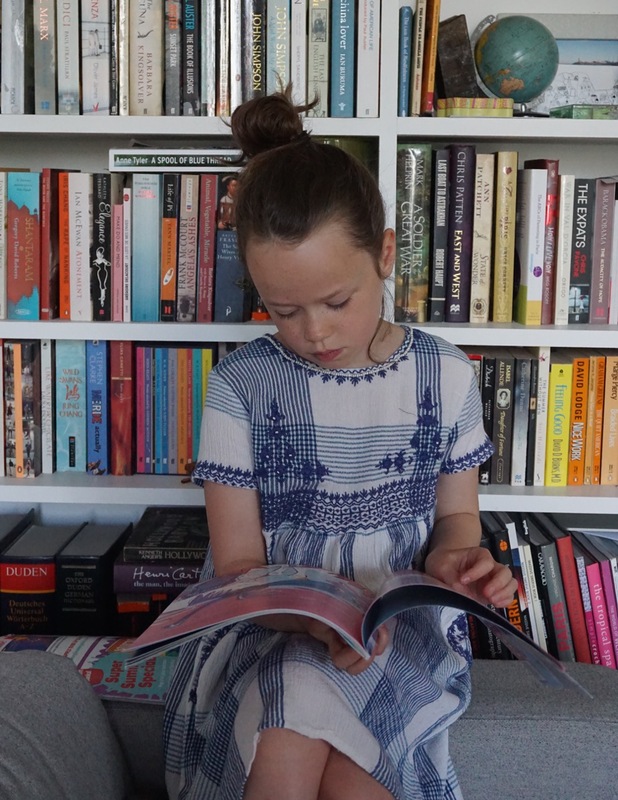 Remember to make it a gift subscription in your child’s name — so they get their own post through the letterbox, which is always a source of excitement in my house! 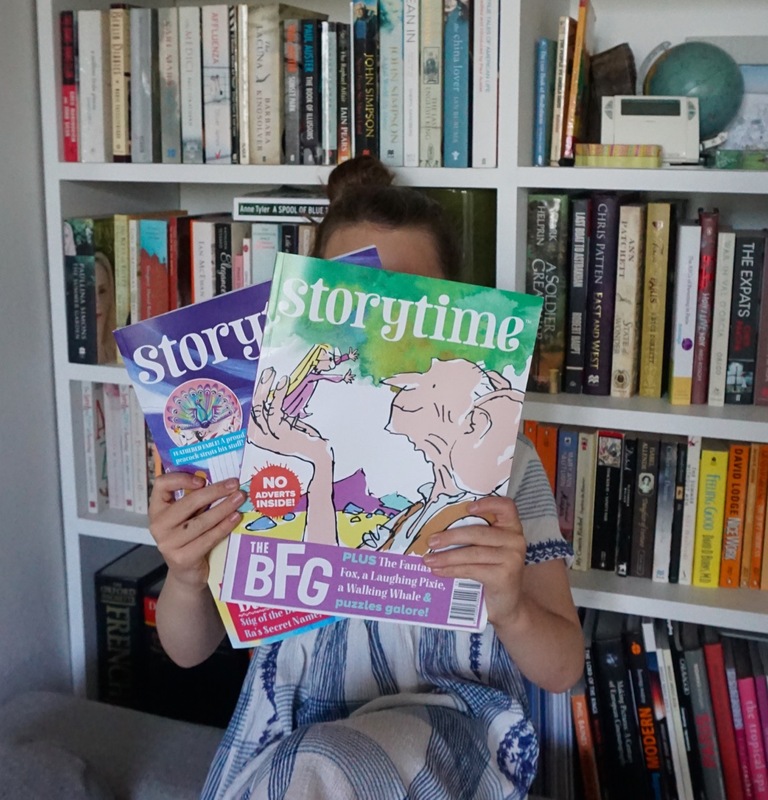 This post is sponsored by Storytime, a magazine we love and personally recommend. I signed up to this a year or so ago (on a Babyccino recommendation) and I can confirm its a great magazine. My daughter is 5 and she loves the stories and the beautiful (and varied) illustrations. I arranged for her to have her name on the envelope and she loves how its a piece of post just for her! The other plus is that there is no advertising and no awful toys stuck on the front! me too! signed up for the 3 month deal in the new year to see how we found it and I completely agree kids are delighted when it comes through – I love the variance of the stories old and new and inspiration from different countries. Subscription has been extended! Personalised, handcrafted wooden toys. Perfect baby gifts!